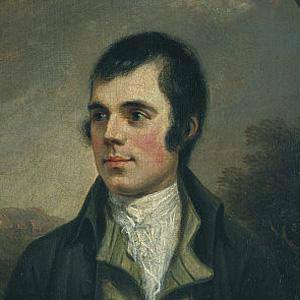 Major Scottish poet associated with the Romantic movement and known for such poem-songs as "Auld Lang Syne" and "A Red, Red Rose." 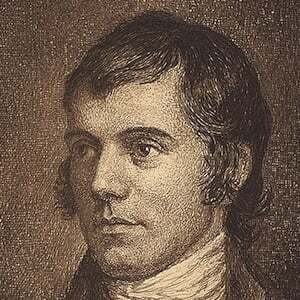 The first edition of his Scottish-dialect poems was published in 1786. He worked as a farmhand in his younger years. 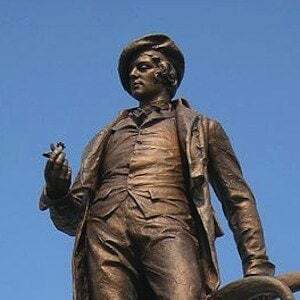 He grew up in Alloway, Scotland as the oldest of seven children. 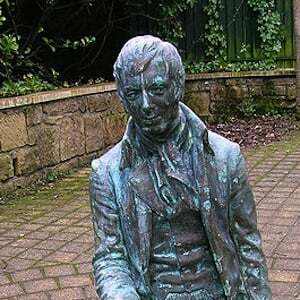 He is considered Scotland's national poet. He had an illegitimate child with his mother's maid and later married Jean Amour, with whom he had nine more children. J.D. Salinger took the title of his famous novel Catcher in the Rye from Burns' poem "Comin' Through the Rye."